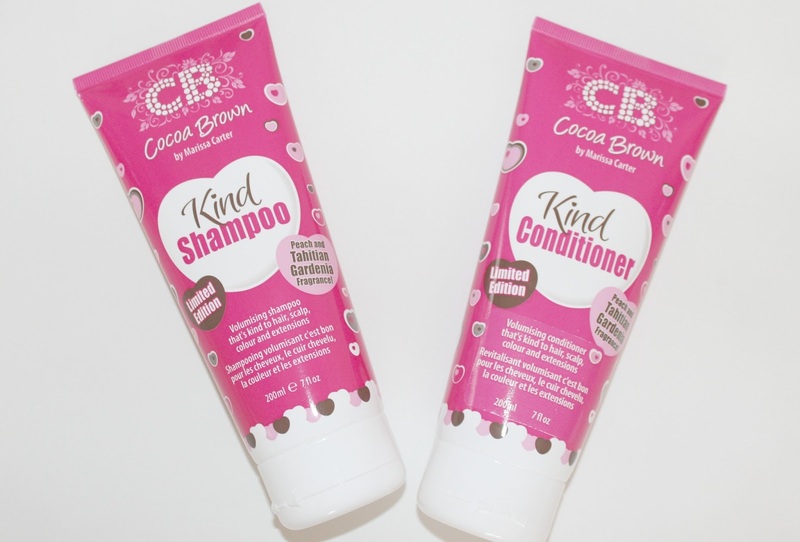 COCOA BROWN KIND SHAMPOO & CONDITIONER. Marissa Carter the ambassador behind the brand Cocoa Brown is a genius when it comes to self tan. I honestly couldn't praise the tan enough if I tried and their 1 hour tan mousse is still my all time favourite self tan. So when I heard about their new hair care range including their new Kind shampoo & conditioner I couldn't wait to try it out. What I love about this product is that Marissa actually designed the product to use for her self as she has stated previously that she's suffered with psoriasis and a sensitive scalp, but hasn't found anything for her hair that treats this as well as adding volume and shine to her hair. I was really excited about this product as I've previously suffered with a sensitive scalp myself and it's still an on going battle. I don't know about you, but I can be very picky when it comes to picking out my shampoo and conditioner. I don't mean I spend £30 on one shampoo, but I will look into what I'm buying before just adding it to my basket. I need something that's hydrating, gives me volume, shine and something that doesn't irritate my scalp. That's why I was so happy to try out the shampoo as it's paragon-free, alcohol-free and a formaldehyde-free product. 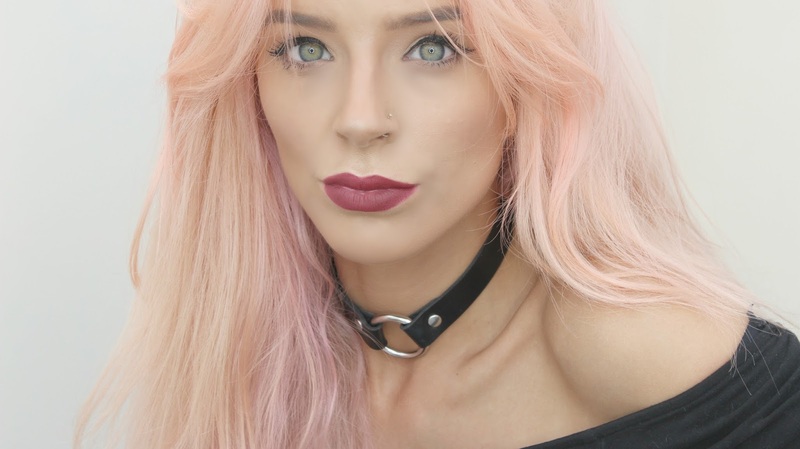 The conditioner is also free of any nasties, making both of these hair products great to use on my coloured hair and extensions. There's nothing worse than those shampoos and conditioners that do nothing for your hair. Well other than making you want to wash it over and over again. So what makes this Shampoo & Conditioner so Kind? Firstly the cleansing agents have been made up from natural sources including coconut oil, and fruit sugars. 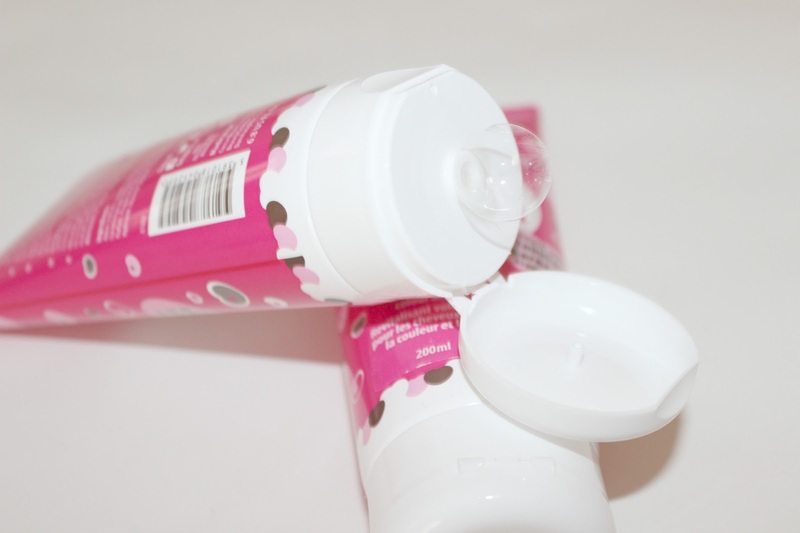 The Cocoa Brown Kind Range has a subtle Peach and Tahitian Gardenia scent to the product. It's not strong at all and I really love the subtle scent it leaves in my hair (we all know how much I love peach). In fact the scent is that lite that the brand didn't have to list it on their product if they didn't want to, but of course they have. 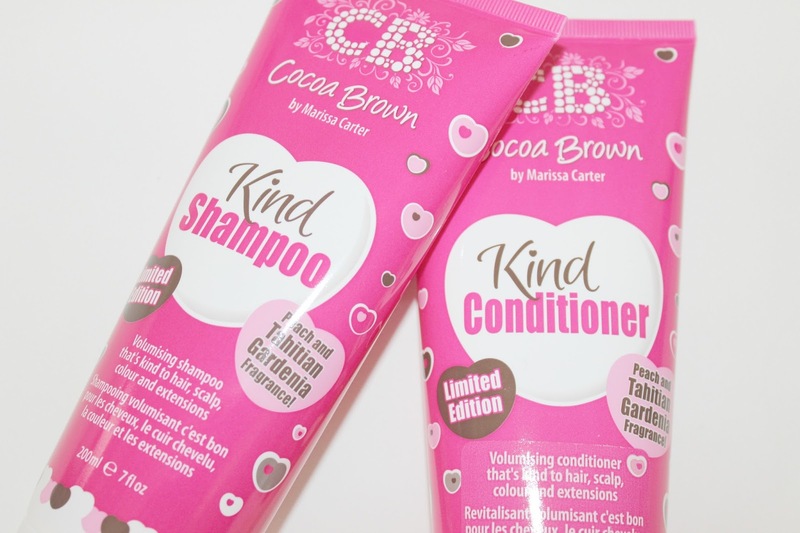 I tried the Cocoa Brown Kind Shampoo & Conditioner out for a week before writing the review. My hair type is fine, but I have a lot of it so trying out a new shampoo can sometimes be scary! I often find that certain shampoos and conditioners weigh down my hair and make it look really flat and lame, but I'm so happy with the results! My scalp has been really clear and itch free. I'm happy with the volume and shine its given me too, which is amazing for a shampoo & conditioner that doesn't contain all the baddies! Also if you're a fake tan lover like myself you'll also love that Marissa has made sure that the pH Balance of these products won't interfere with your tan. Helping to maintain your tan and ensuring an even fade. How amazing is that?! Here is a photo of my hair after using the Cocoa Brown Kind Shampoo & Conditioner. As you can see there's a lot of volume and shine and most importantly it's hasn't budged my new pink hair. Yay!